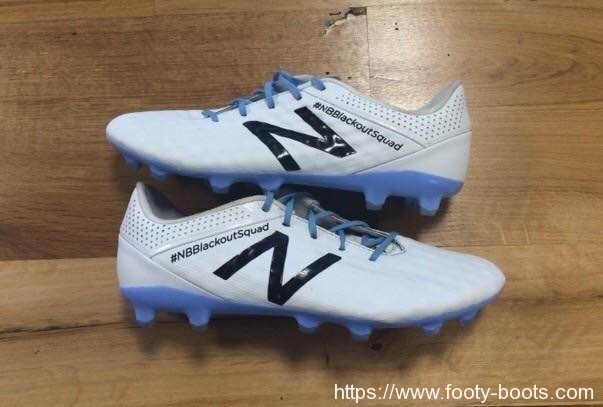 Manchester City midfield duo Samir Nasri and Fernando Reges have been busy on Twitter over the last few hours, as they’ve given us our best look yet at New Balance’s debut football boots, and teased the #NBBlackoutSquad hashtag. 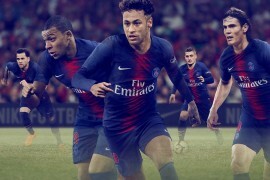 The two City stars are set to clash with FC Barcelona in the UEFA Champions League tonight and have clearly just taken delivery of some very special looking cleats from the new brand on the block. Nasri already notched a goal this weekend in these stunning White / Sky Blue prototypes at the weekend during the Champions 5-0 demolition job of Newcastle United this weekend (without the hashtag, as far as we could tell), and is set to lace up these cleats tonight. And if you’re reading this, New Balance, don’t change a thing – these are look show-stopping as-is. Team-mate Fernando is, more appropriately, set to don an all-black version of the same boot. What details can we glean from these football boots? Well it looks like this model will use an upper based on the mesh of New Balance’s Minimus running shoe, layered up with a synthetic outer. Presumably the mesh base will allow for comfort and ventilation, whilst the upper will boost touch and durability. The outsole looks solid, with Alvaro Negrado telling us it’s comfortable, whilst still having some resistance to it for added spring. An internal heel counter and ventilated ankle cuff stop these boots from having a single-piece upper, but do look surprisingly substantial up close. 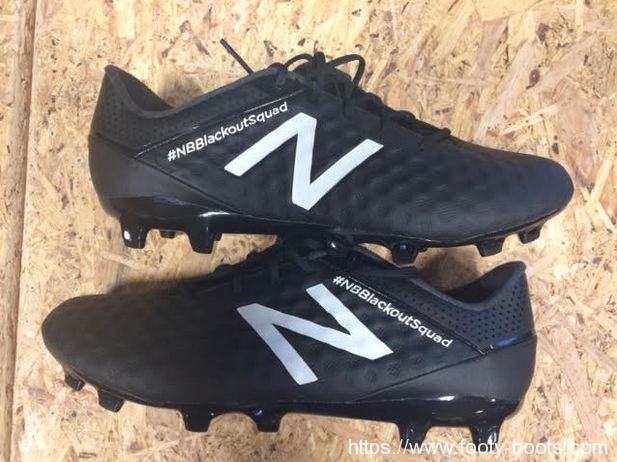 As for #NBBlackoutSquad – here’s hoping the rest of the NB Football stable of athletes get involved – it looks like a very interesting teaser campaign, indeed.